This entire fiasco has to be lain at the feet of one incompetent government employee after another. To begin with, the local school district (following up on what I believe was a dictate from Obama’s DOJ) gave the local Sheriff instructions to downplay minority misconduct in the schools. As a result, the Sheriff ignored 39 separate incidents involving the shooter engaging in various levels of violent outbursts at school. In addition, the FBI also ignored reports abut his aberrant behavior and dropped the ball. Adding insult to injury, Sheriff Scott Israel then proceeded to go on CNN’s disgustingly scripted “Townhall” where he bizarrely blamed the NRA for the 17 murders that he was almost uniquely responsible for. This boy was not considered to be a ‘minority’ John. He is mixed latino and Caucasian. Secondly, your use of Obama’s name in relation to this incident as a causation factor is evidence of your bias and/or outright prejudice. Jim, the generalization of all Sheriff’s Departments as lazy or laid back and untrained is nearly as bad as John’s generalizations about minorities. Every agency, just like individuals, must be evaluated on their own merits and failures. I have been a deputy in the Kansas City metro since before anyone could call it a ‘metro’. When I started, the city limits were much smaller everywhere and there wasn’t that much crime comparatively. As the urban cores became more dense and city limits stretched out, the crime rates skyrocketed. Yes, when I first became an LEO the training was haphazard at best until I went to the state law enforcement academy outside Hutchinson. After the academy, at least in Kansas, state law mandates a week of extra training every year. Being a deputy in an urban area, I have seen more crime and violence than rural departments. I have made more arrests than most in rural areas. Our training now matches that of the other big departments in the metro. As a side-note, nobody received training for active shooters until this century, after the Columbine massacre in 1999. Every department changed their policies and training after that. My point being, rural areas have less crime, less calls for service and less violence and less funding- that is the reason that a department may be lacking, be it a police agency or a sheriffs agency. The one deputy who wouldn’t go in does not represent the values of all “Sheriffs” Departments. It is on the news today that the report of other deputies staying outside may be erroneous or they may have arrived after the shooter had escaped. I hope this is the case. I know first hand how much the Jackson County Sheriff’s Dept. has improved and modernized in the last decade. It used to be the bottom of the pool for hiring because of low wages and was the cesspool of political hiring and promotion. They had no equipment for handling big crime because the county was so cheap. They have more funding now and salaries, equipment and training has improved. They are well respected in the county now. Good to hear from someone who is current on training levels and relatively recent improvements in the Jackson County Sheriff’s Department…I am glad to hear the department is well respected…I admitted my observations — and bias — went back several decades. And, yes, you’re right, each agency needs to be judged on its own merits. All things being equal, though, I stand by my preference for big-city police departments when it comes to major crimes and mass shootings. First, I made no “generalizations about minorities” and the fact that you would assert that I had is typical of the kind of silly ad hominem attack people like you are reduced to when the facts are not in their favor. What I referenced was a policy implemented by Obama’s DOJ which took note of the fact that minority students had higher arrest and disciplinary records than white students and then suggested that alternate methods of discipline be used when dealing with minority students. Grant money was provided for successfully implementing the program as evidenced by reduced arrest records. Miami-Dade first implemented the program and then school officials in Broward noting the money attached began implementation of the program through agreements with local LE. However, in order to continue to receive the funds the misconduct ignored grew from ignoring misdemeanors to felonies, assaults, etc. 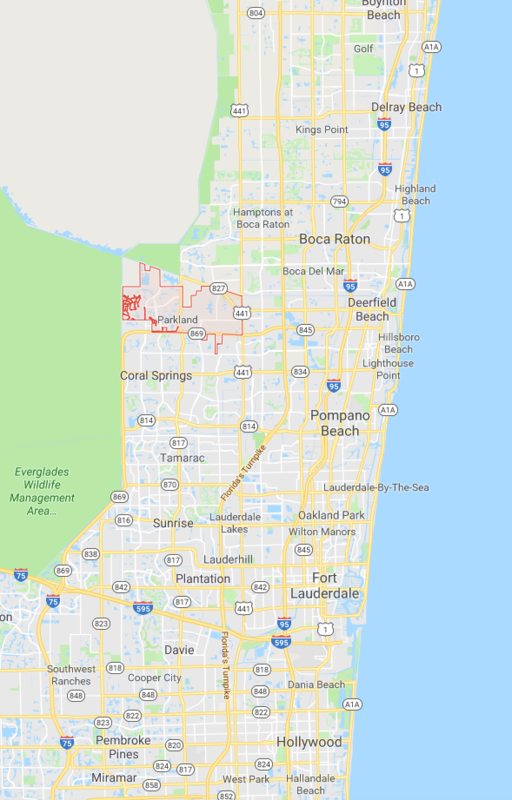 Anyone with a rudimentary capability of doing an Internet search can replicate both the policy and its implementation in Florida (including the written agreements between the Broward SD and Broward LE). Discussions of the failure of the policy are also abundant. This was the essence of the reason why Cruz’s misconduct was ignored 39 separate times including complaints of assault and threatening other teachers and students. His actual ethnicity was secondary to his Hispanic surname for the purposes of the agreement. As for the “the report of other deputies staying outside may be erroneous or they may have arrived after the shooter had escaped.” That comes solely from Scott Israel’s letter to the Governor written in response to demands from legislators for his removal from office. The claim is nonsensical on its face. If the shooter had already left, why did the other 3 Sheriff’s Deputies remain outside? Why the hell would they not go in and try and care for the victims? But they didn’t, they waited for the local police to go in along with other Deputies from the Broward County Sheriff’s Department and yet they still remained outside. Again, a child can replicate those findings including the letter from Israel responding to Rep. Bill Hager’s call for his removal. Since then 74 state legislators have signed on to a letter demanding Israel’s suspension. Here’s a link to the agreement between the school district and Broward LE. Here’s a link to a discussion of Obama’s disciplinary policy failures. And, if you don’t like the Post, here’s USA Today.